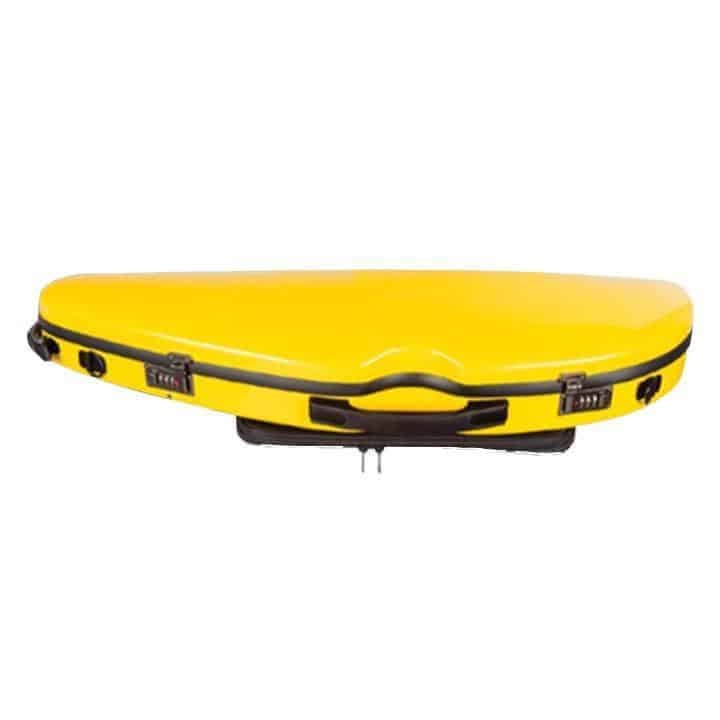 Sculpted Fiberglass Violin Case Yellow is a suspension case. There is an attached external music pocket that doubles as a backpack pad. The interior is a Euro-style lined shell with plush suspension pads. 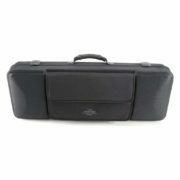 For storage, there is a zippered accessory pocket, a shoulder rest strap, and two bow holders. 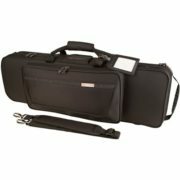 The case includes two backpack straps. Carry it by the subway handle or side handle. There are two combination locks on the exterior to keep your violin safe from theft. The exterior is a bright and sunny shade of yellow! 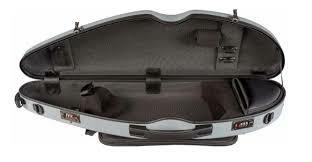 Come by and see the case here at Keller Strings! Keller Strings is located near the intersection of St. Charles and S. Carrollton, in the Riverbend area. Our address is 8209 Hampson St, New Orleans 70118. 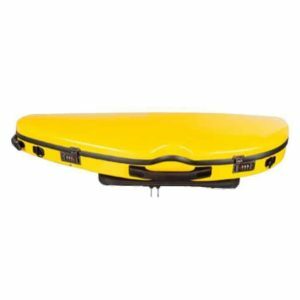 Pick up any accessories you may need as well. 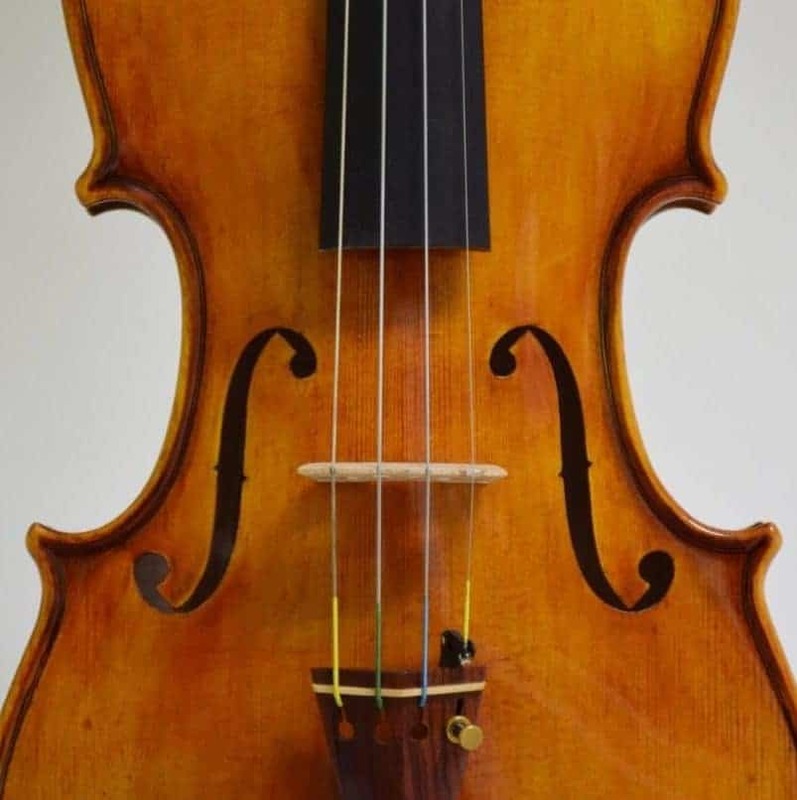 We have accessories ranging from shoulder rests, stands, strings, tuners, rosin, and more!